Are you looking for some new jewelry or just a way always keep your horse close? 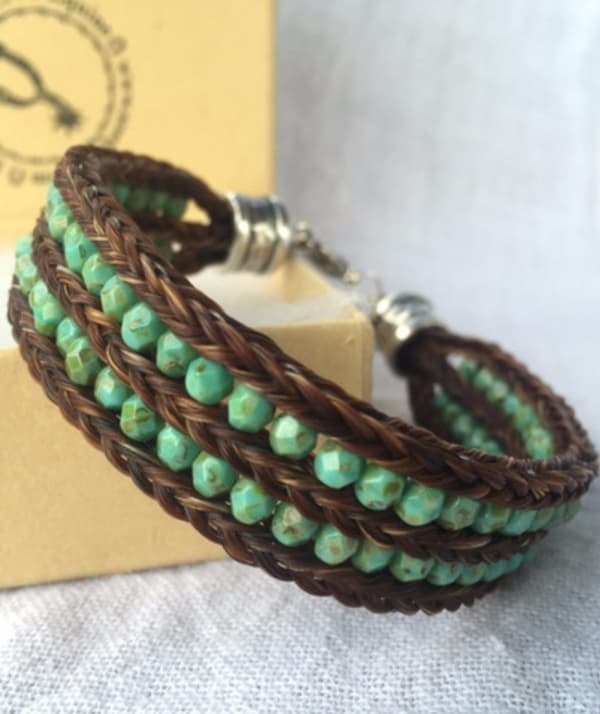 SC Equine creates horse hair jewelry you will love! You have the option of sending in your own horse hair or having it provided for you. Customize your beads and hardware too. Three braid and bead bracelet available for personalization online.